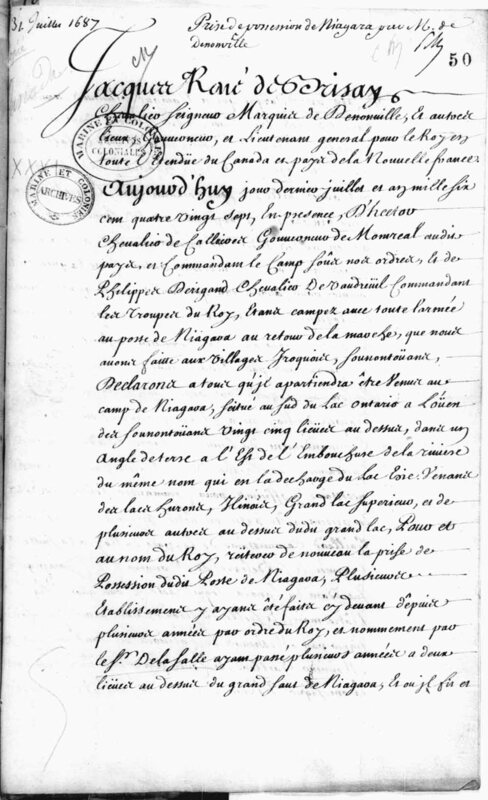 GAILLARD, MATHIEU, commissary in ordinary to the navy and subdelegate for the intendant at Montreal; m. 24 June 1676 Anne Martin at La Rochelle, France; fl. 1676–94. Gaillard arrived at Quebec on 9 Oct. 1686, preceded, according to Governor Jacques-René Brisay* de Denonville, by a good reputation. 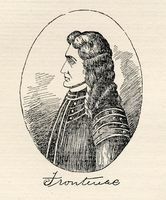 He was commissioned to take charge of “His Majesty’s affairs in the region of Montreal.” Denonville, Bochart* de Champigny, and Buade de Frontenac unanimously praised his integrity, exactness, and loyalty. In 1687 he took part in Denonville’s expedition, which went to crush the Iroquois in their own territory. He was one of those who signed the act when Niagara was taken over on 31 July 1687. On 7 June 1689 the king sent instructions to Frontenac about a plan for attacking New York; he enjoined him to take along the commissary Gaillard to draw up an inventory of the enemies’ possessions. For reasons of health, Gaillard could not remain in the colony. On 10 July 1690 the king appointed him commissary in ordinary to the navy at the port and arsenal of Rochefort. 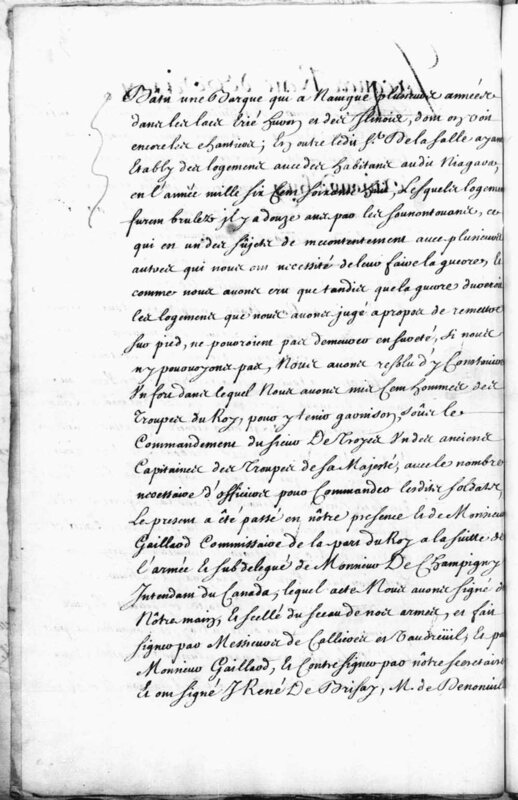 Frontenac regretted losing this official since, according to him, it was difficult to find a man “who was as zealous in the King’s service.” Gaillard did not leave until the spring of 1691 and he was still at his post in Rochefort in February 1694. AN, Col., B, 12, ff.20, 39, 40½; 15, f.6½; C11A, 8, pp.192, 220, 320 (copies in PAC); 10, pp.147, 291, 371, 411 (copies in PAC); 11, pp.205, 391 (copies in PAC). Coll. 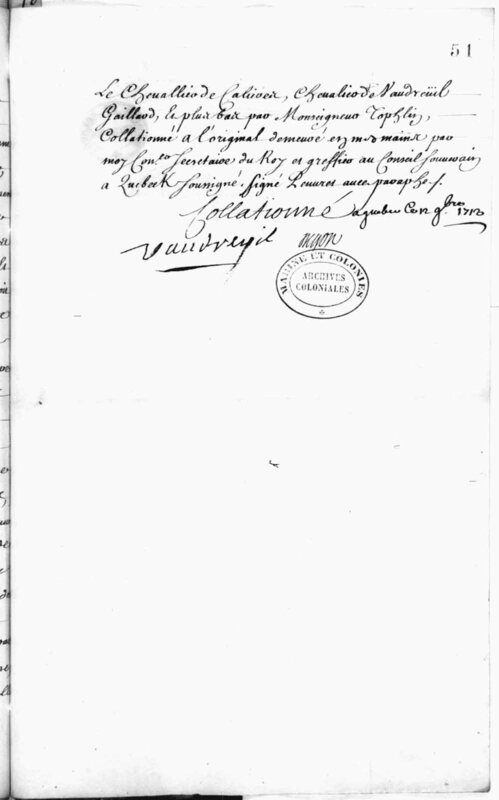 de manuscrits relatifs à la Nouv.-France. P.-G. Roy, “Mathieu Gaillard,” BRH, XXI (1915), 87–89. Arch. en Ligne, Charente-Maritime (La Rochelle, France), “Reg. paroissiaux, pastoraux et d’état civil,” La Rochelle, Saint-Nicolas, 24 juin 1676: charente-maritime.fr/CG17/jcms/cg17_34489/les-archives-en-ligne (consulted 7 May 2012). Marcel Hamelin, “GAILLARD, MATHIEU,” in Dictionary of Canadian Biography, vol. 1, University of Toronto/Université Laval, 2003–, accessed April 26, 2019, http://www.biographi.ca/en/bio/gaillard_mathieu_1E.html.